Thank you for your commitment to the Miami Valley Down Syndrome Association. Click HERE to make a donation OR to purchase a 2019 MVDSA Commemorative Calendar! Many people who have been touched by an individual with Down syndrome express their loyalty by attending our events. The MVDSA organizes a variety of events throughout the year that attract long-time supporters, new families and friends, other attendees. When members of the Down syndrome community see businesses supporting individuals with disabilities, their consumer behavior is affected in a positive way as both a return customer and fan. 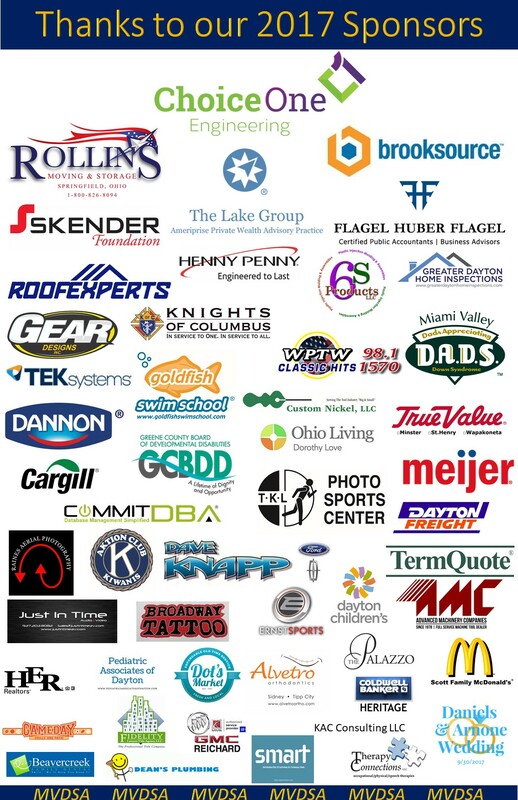 We encourage you to consider becoming a sponsor of one of our events (The MVDSA Buddy Walk, The Euchre Tournament, Walk Your Socks Off or the D.A.D.S. Golf Outing). Your brand will receive maximum exposure and your commitment will resonate deeply within the Down syndrome community and beyond. Some of our Corporate Sponsors choose to sponsor a specific event, while other companies choose a multifaceted sponsorship package. We are also open to creative conversations about possible in-kind donations of goods or services that your company might be able to provide. If you would like to set up a meeting to discuss some opportunities, or if you have any questions, please contact our Executive Director at executivedirector@mvdsa.org or (937) 222-0744. Check out upcoming events. Making a gift in honor or in memory of someone you care for is a touching way in which someone can support the work of the Miami Valley Down Syndrome Association (MVDSA). We appreciate your desire to give to the MVDSA in honor or in memory of a loved one. To do so, please CLICK HERE to fill out the form, or please feel free to call our office at (937) 222-0744. 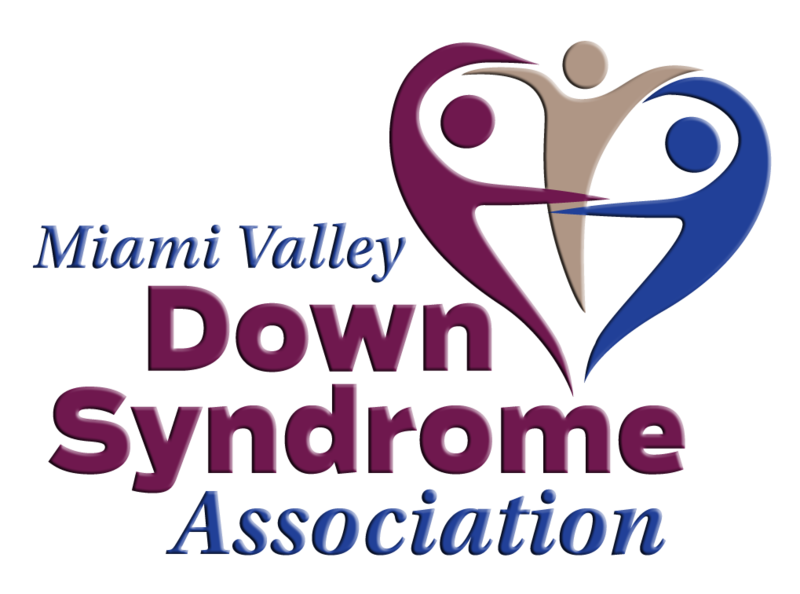 Support the Miami Valley Down Syndrome Association (MVDSA) while you shop! It’s free and easy! 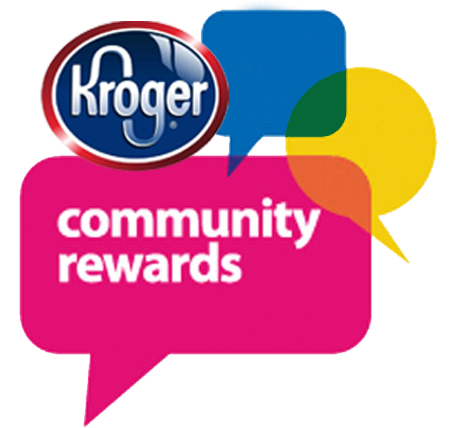 Kroger donates to nonprofit organizations through Kroger Community Rewards. 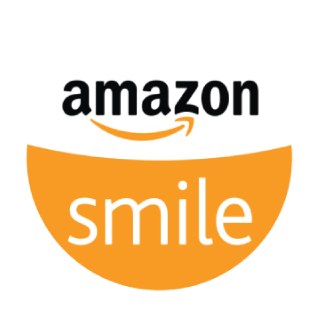 All you have to do is visit Kroger.com, and sign up your Kroger Plus Card and select the Miami Valley Down Syndrome Association (MVDSA). The MVDSA will earn funds every time you shop! Be sure to renew this annually! (HINT: Click on the logo on the left).